For a while the incessant rains in Chennai were fun. It was fun when schools remained shut, when tests got postponed, when one could go late to work or not show up. 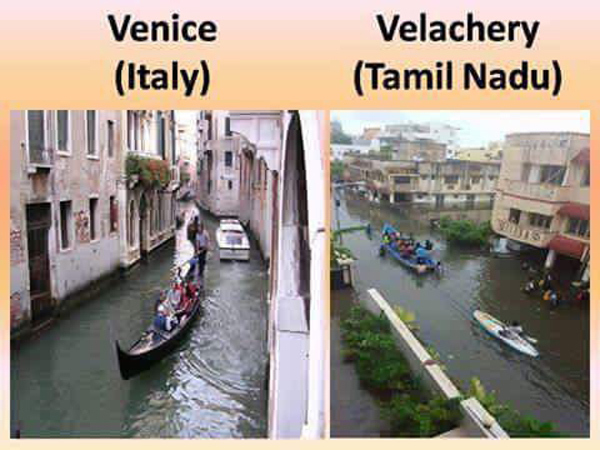 WhatsApp messages were shared in jest about Chennai Vidyamandir school 'acquiring' a new swimming pool, about Vellachery becoming Venice overnight or about Chennaiites feeling like Baahubali, rising from the waters or about Ola launching a boat service in Chennai. The laughter died out when water began entering people's homes. There was panic and a sense of disbelief as people stared helplessly at the water invading their living rooms, bedrooms, kitchens; when their cars didn't start and when their bikes wouldn't move forward. 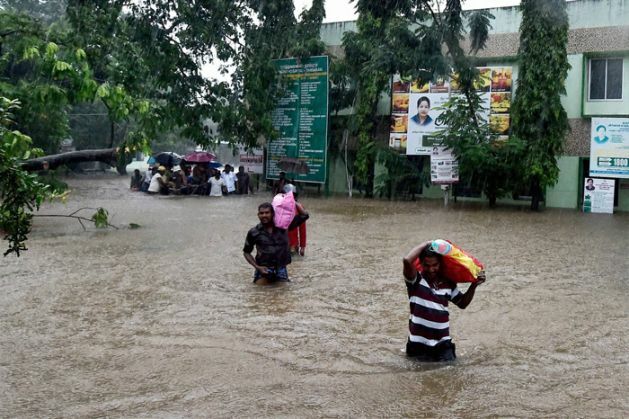 An estimate suggests that 188 people have died in Chennai's floods. Trains have been delayed, the Tambaram airport has shut down and finally, the city's power supply has been switched off for fear of electrocuting people living in low-lying areas where the water is threatening to touch electricity cables. The situation is so bad that the Saidapet bridge over the Adyar river has had to be closed down as water has spilled on to the road. Rescue operations have started in many parts of the city. The Army, Navy and the National Disaster Response Force have begun efforts to save stranded people from their flooded homes. Navy drones are conducting an aerial survey of the floods, and two Naval officers and 50 sailors have been deployed at Tambaram. The Army is using radio communication for coordinating the operations. The NDRF has already deployed 10 teams in the state, and five more teams, comprising of 300 men, are about to reach the state. Voluntary organisations have also jumped into the rescue efforts, and the civil society at large is using social media to keep the flow of information going. Prime Minister Narendra Modi held a meeting with senior ministers Rajnath Singh, Arun Jaitley, Sushma Swaraj and Venkaiah Naidu to take stock of the situation. The met department says the situation can't be expected to improve for a few days yet. LS Rathore, the DG of the department, said rains would continue for the next week, and that the situation would be 'critical' for at least the next 48 hours. 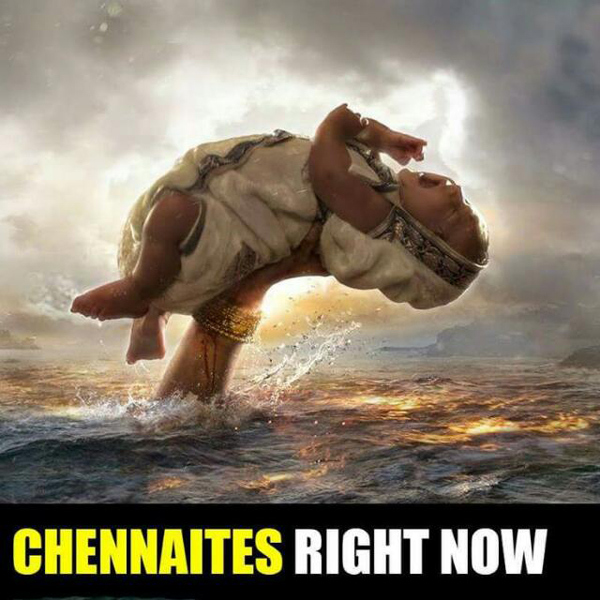 Catch asked some Chennaiites to explain just how they were dealing with this unprecedented situation. 50-year-old Neelamma works as a maid servant and lives in Tenampet's slum area. For the last two days, she's been stranded on her second-floor housing board apartment unable to step out to buy provisions. She lives with her sons who are 28 and 24. Each day they wait for voluntary organizations to give packets of food prepared by some generous families in neighboring societies. Periaswamy, a 30-year-old driver lives in Chinamalai with his wife and his daughter who studies in 1st standard. When the water came into his living room, he packed up his belongings, whatever he could and moved to his relative's house. It was an ardorous walk. All public transportation but the metro has come to a total standstill. Sriram and Vijaya live with their five year old daughter, Chinmayee, in north Chennai's Ashok Nagar. It didn't seem so bad yesterday. So when Sriram's sister who lives in Tenampet called him over, he refused to go with his 4-year-old daughter and wife thinking there was no need to panic. But after a night long rainfall he woke up this morning to water flooding into his living room. In a matter of hours it rose 3-feet-high flooding into his fridge, washing machine and other appliances. In a desperate move, he carried Chinmayee, over his shoulders, while Vijaya packed some belongings and they waded through the water to reach the nearest hotel. At first the hotel manager refused them a room saying they were all full. "I begged them to give me a room. I could see that people around were willing to pay any amount of money for a room," says Sriram who agreed to pay Rs 2,800 for a room a day. "Hopefully the hotel can manage some food for us," he says. "We were out today trying to buy provisions and could see everybody hoarding on biscuit packets, noodles and other ready-to-eat food in case our gas gets over and the electricity dosen't come back for a while," says Saritha who lives with husband her two kids in Chennai's R.A Puram. 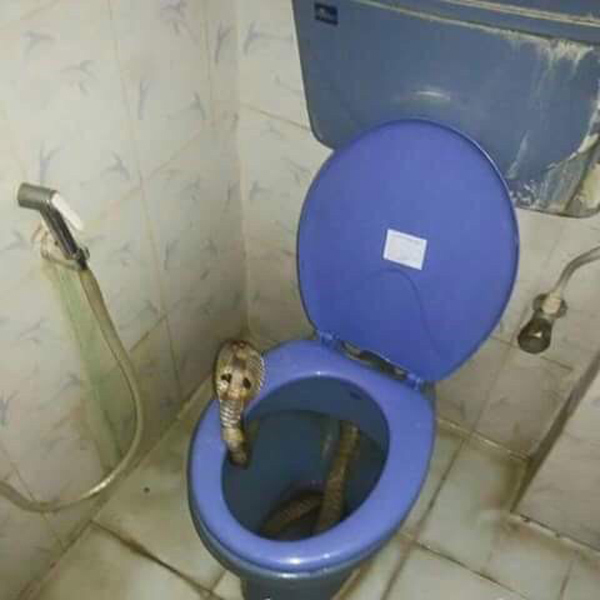 Others living in the fishermen colonies in the outskirts of Chennai are battling cobras in their toilets and other reptiles and insets in their homes. "I really don't have a plan. 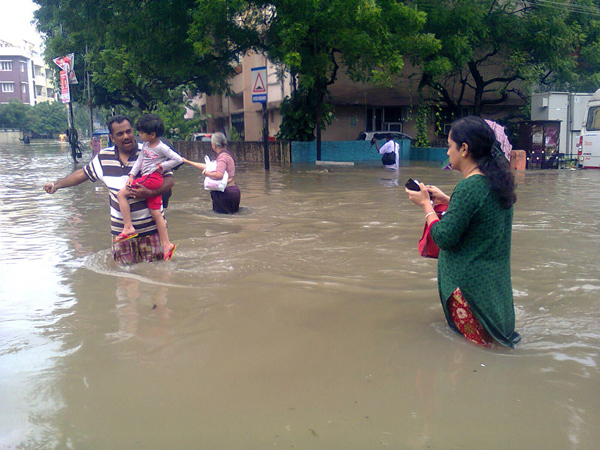 Right now, we just have to live through each day until the water recedes," says Sriram. The only people who are having fun are the kids. "It's so exciting. Our school is shut for a long time and we all get to play as much as we want," says Sarvesh who is about to give the 12th board exams this year and is happy that the rains have brought an indefinite holiday instead of his mid-terms which were to start this week.